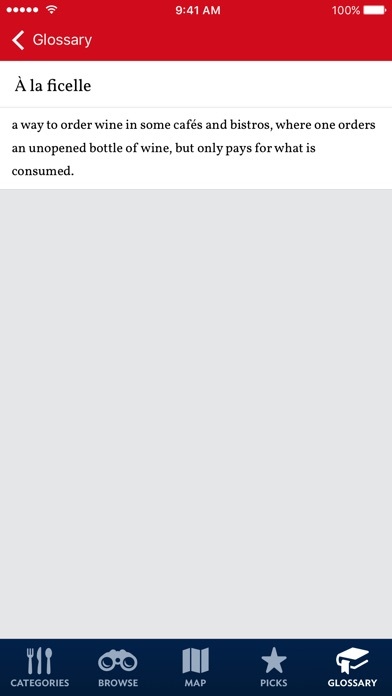 Great App, Great Taste, Another winner from my favorite Foodie Guru. - autor:MurrayLA - title:Like having PW next to you while strolling Paris. This is an embarrassment that Patricia Wells should either correct with a complete overhaul or remove from the Apple App store. I purchased it, downloaded it, have updated it, and it doesn’t work. It’s a mess. Her book was well done originally, and if she’d spent the money necessary to hire a competent app developer and update it properly, it would be a help to Paris visitors, but this is sad. - autor:Chuckwire - title:A Patricia Well’s Embarrassment!! Do not purchased this app. 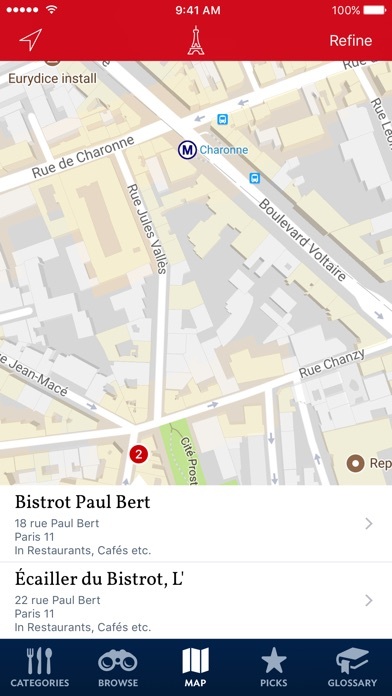 You cannot search for restaurants. 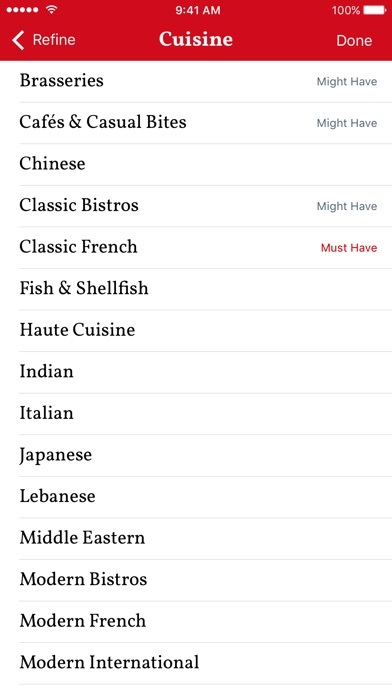 You must scroll through and alphabetized list of restaurants with no guidance. 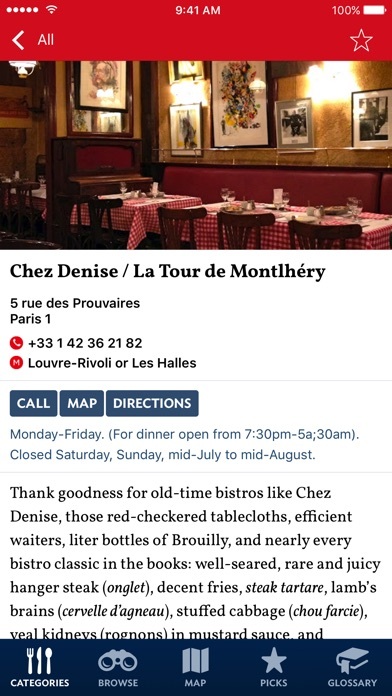 This is a big disappointment from our 1999 version of food lovers guide to Paris which we have used time and time again in Paris. - autor:Pmwolverton - title:Big disappointment! 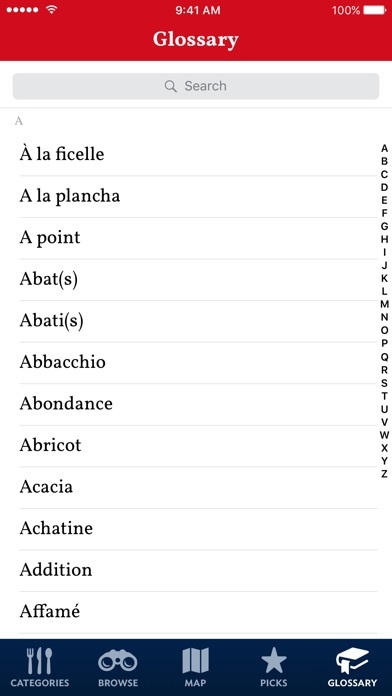 I'm a huge fan of Patricia Wells' writing and own several (OK, three) of her books, so when in Paris for two weeks, I was excited to discover her app. Very disappointing, not for her words, when I could get to them, but for the functionality of the app. Doesn't rotate on the iPad, wants to show a landscape view in portrait mode. Buttons are unresponsive. The content is kept up to date, but the basic operation doesn't get fixed. I doubt that the developer ever looks at the app on an iOS device. Wells' writing and criticism deserves a better presentation. - autor:Ringdelio - title:Needs work!